In some situations, the police arrest people, and the arrested persons can be charged with a crime, based on little more than someone accusing them, reports Dallas criminal defense lawyer John Helms. When this happens, the arrested person and their loved ones justifiably ask: Is this legal? How could this happen? Isn’t everyone innocent until proven guilty? In my experience, these situations usually involve some type of assault or violence. It could be domestic violence, in which a spouse accuses the other spouse of abuse. It could be sexual assault on a child or an acquaintance, in which the accuser makes an “outcry” long after the alleged event occurs. What these situations have in common is that there are usually two people involved, no other witnesses, and the accuser is the alleged victim. To answer the questions above, it is important to understand what proof is needed for an arrest or to charge someone and what proof is needed to prove that a person is actually guilty. They are very different. Below is a chart that illustrates the differences. Proof Beyond A Reasonable Doubt (guilty of a crime). As this chart shows, in order to get an arrest warrant, the police officer applying for the warrant only needs to show that there is probable cause to believe that the person committed the crime. This is a very low standard. One person’s word that someone abused, assaulted, or sexually assaulted them can be enough to meet this low standard. This means that the accused can be arrested. After that, a judge will set a bond for them, and if they can post the bond themselves or with the help of a bail bond company, they can be released, adds Dallas criminal attorney Helms. The next step in a felony criminal case is for a grand jury to indict the person. Again, the grand jury only needs to find that there is probable cause to believe that the person committed the crime. And again, one person’s word can be enough. A grand jury indictment is a “criminal charge.” It is a formal accusation that a person committed a specific crime. It is also where a criminal case begins. After an indictment, a criminal case is assigned to a judge, gets a case number, and goes on a court’s docket. It is also at this point that the government has to turn over evidence to the criminal defense attorney. The fact that someone is arrested or indicted does not mean that the person is guilty. To be found guilty, the evidence must prove beyond a reasonable doubt that the person is guilty. That is something a jury must unanimously decide at a criminal trial. 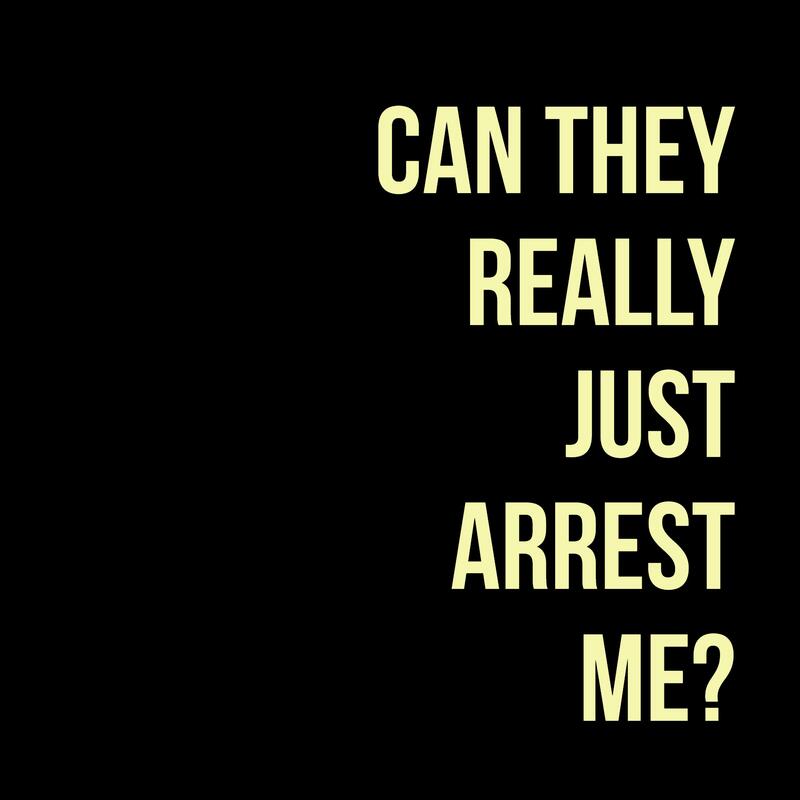 So the answers to the questions are: Is it legal for one person’s word to be enough to arrest or charge someone? Yes, it can be. How could this happen? It happens because an arrest or a criminal charge does not require proof beyond a reasonable doubt. They only require probable cause, which is a low standard. What happened to innocent until proven guilty? The fact that a person is arrested or charged does NOT mean they are guilty. In order to be found guilty, there must be proof beyond a reasonable doubt. A jury must unanimously decide this at a trial. Does all this mean that there is nothing someone can do to avoid being arrested or charged with a crime based only on one person’s accusation? Absolutely not. If there is evidence to show that a person is innocent, you may be able to present it to the investigator before he or she applies for an arrest warrant. Also, you may be able to present evidence to a prosecutor before the case is presented to a grand jury, and many counties allow defendants to give the grand jurors a “packet” of information on why the grand jury should not indict the person. To do any of these things, it is critical to hire an experienced criminal defense lawyer who knows how to do it and what is persuasive at each stage. I have had a lot of success heading off criminal prosecutions by presenting evidence to law enforcement or prosecutors before an indictment. The reason is that I know the kinds of evidence that can persuade an investigator or a prosecutor that they should not pursue a case. As a former prosecutor, I have worked with law enforcement at every level, and I know how prosecutors think. It can seem very unfair that our system allows people to be arrested and charged with a crime based on what may seem like very little evidence. An arrest or a criminal charge can be devastating to lives, careers, and families even if the accused has not been tried and found guilty. That is why it is so important to protect yourself or your loved ones by hiring a skilled and effective criminal defense lawyer who knows how to begin the defense before the case even officially starts. If you, a family member or someone you know has been charged with a crime or have been convicted and need help with an appeal in the Dallas area, contact Dallas criminal defense lawyer John Helms at (214) 666-8010 or fill out the online contact form. You can discuss your case, how the law may apply and your best legal options to protect your rights and freedom.